Two of the leading groups critical of the city’s lead poisoning prevention efforts, the Freshwater for Life Action Coalition (FLAC) and Get the Lead Out (GTLO), had their day at City Hall Friday. The groups got to make their case and raise issues in a special meeting held before the Common Council’s Public Safety and Health Committee. The Milwaukee Health Department, GTLO and FLAC all agree that any amount of lead in children up to the age of 6 is too much, but disagree on the city’s lead prevention priorities. The department has concentrated its efforts on paint, dust and soil, while the groups are pushing for a much greater focus on water. The groups’ concerns center around an area of W. North Ave. from N. 35th St. to N. 43rd St. and what they believe to be a failure to investigate a spike in infant mortality. According to a density map of infant mortality prepared by the Milwaukee Health Department, the groups contend that 40 to 49.99 infants died between 2012 and 2016 within a one-square-mile area centered on the stretch. They believe lead in water, from disruption of service lines and new homes that were connected to old, lead service lines, played a role. Swain said specific locations are not revealed because of the Health Insurance Portability and Accountability Act (HIPAA). Colored density maps are used instead, giving incidents a one-square-mile area and aggregating the data. He said the area described by Thomas Welcenbach, who led the 45-minute joint presentation by the groups, represents only 20 percent of a square mile. Miranda said his group will be canvassing homes in the area built since 1951, the year the city stopped using lead on the public side of a lateral. A lateral, which provides water to a property, is made up of a publicly-owned portion under the street and a privately-owned segment on private property. 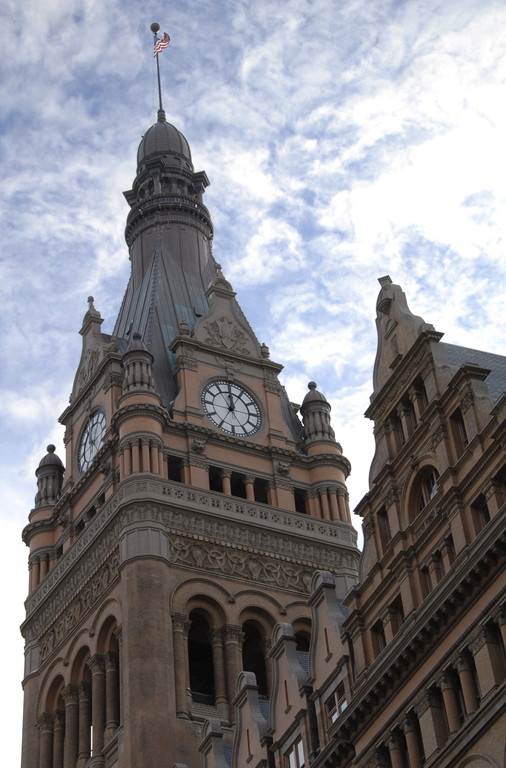 The city, according to Milwaukee Water Works superintendent Karen Dettmer, has “very good” records for which properties have lead laterals on the public side, but not for the private side. The city banned the use of private-side lead laterals in 1962, but FLAC has repeatedly suggested a number of post-1951 homes built on the site of demolished properties simply reconnected to existing laterals. The city banned the practice in 1985 and inspects every new connection on the public side. Welcenbach, using city property data, believes there is a large concentration of post-1951 properties near W. North Ave. that are likely to be connected to older lead laterals or having partial lead laterals. A lateral that is copper on the public side and lead on the private side causes corrosion and increased lead leaching. As of 2017, the city mandates full replacement of a lateral in the event of a break. FLAC has advocated for replacing all of the lead laterals in the city, of which are there are more than 70,000. The effort, which could cost $750 million, is far from a silver bullet though. A study of Madison, which replaced all of its lead laterals, still shows 38 percent of homes testing positive for lead in their water. Copper plumbing was allowed to contain lead solder until 1986. But the focus on lead in water is contrary to the health department’s primary abatement efforts. “We know that deteriorating lead-based paint is the primary source of lead exposure in children,” said commissioner Jeanette Kowalik. The new commissioner has drawn praise from the council and mayor for her work restoring the troubled childhood lead poisoning prevention program. The Center for Disease Control estimates that 30 percent of lead poisoning nationwide is from lead in water. In response to a question from Ald. Michael Murphy, Miranda said: “In Milwaukee I believe that percentage is higher.” The city, which funds its lead abatement efforts primarily with federal funds, did not start testing water in homes of children with elevated blood levels until two years ago. Federal grants leveraged by the city do not pay for water tests. Miranda contends this is a major issue in the city’s efforts. But both Murphy and Kowalik countered that aldermanic district data contradicts this assertion. “Poverty is a much bigger indicator,” said Murphy. The 14th aldermanic district, which includes all of Bay View and a handful of neighborhoods to the south and west, has the highest concentration of public lead laterals in the city. Yet, the 15th aldermanic district, which includes the W. North Ave. corridor at issue, has a childhood lead poisoning rate nearly four times the rate. FLAC leaders contend this is because the homes (and laterals) in the 15th district are older and there has been more disruption from construction. Murphy stressed that the city must rely on science to make decisions on where to allocate its limited funds. “This is a matter of economics when it comes down to it, which is unfortunate,” said the alderman. While the question of the W. North Ave. corridor remains among FLAC and GTLO leadership, a number of other points were addressed. Questions over the city’s role as the owner of over 3,000 properties that could have lead laterals were answered by Deputy Commissioner of the Department of City Development Martha Brown. She said the city owns approximately 1,000 homes, acquired through property tax foreclosure, but that only 100 were occupied. Any homes built prior to 1962 cause the city to operate on the belief at least a partial lead lateral is present. “We inspect houses to identify visible lead hazards,” said Brown. She added that a packet of information on the dangers of lead, the use of filters and other safety measures is given to the tenants. “There is no evidence that the city ownership has an impact on the lead risk of any of those vulnerable populations,” she concluded. Brown also said the city’s Re-Invest in City Homes (RICH) program, which was suggested in an earlier meeting to be sending people into potentially lead-contaminated environments, has been used on six city-owned properties and has included lead abatement of the homes, including a new service line. “There is no truth to that assertion and I wanted to make sure that was on the record,” said Brown. Swain said a change to city-wide lead poisoning density maps, which Welcenbach said now downplay a widespread lead crisis, were made because of HIPAA concerns. Large areas of Bay View and the city’s East Side are not colored on city maps after a 2018 change because the instances of childhood lead poisoning fall below the map’s threshold of 10 cases per square mile. Welcenbach disagrees with the interpretation of HIPAA in this case, but a representative of FLAC and GTLO said the group doesn’t believe the city is doctoring the dataset.